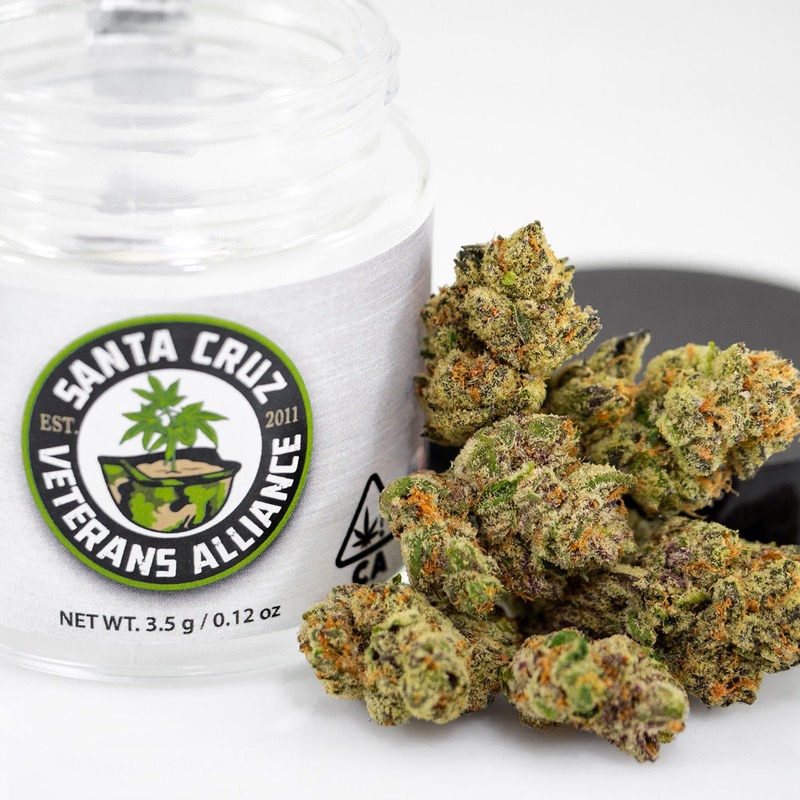 Santa Cruz Veteran's Alliance (SCVA) is a team of veterans growing cannabis to support the healing of fellow veterans. Their cultivation practices are inspired by Santa Cruz's organic growing community, and they practice horticultural therapy, using gardening as a tool to heal, reduce stress, and build community. SCVA whole-heartedly believes in cannabis' ability to address a host of issues, including pharmaceutical dependence, depression, anxiety, insomnia, anger, and much more. Try their best-seller, Kosher Kush: a potent, indica-dominant hybrid that was developed for those who experience chronic pain and sleep disturbances, two common side effects of PTSD. Those looking for a more euphoric experience may enjoy Combat Kush, a strain beneficial for reducing PTSD symptoms and chronic pain. The same people who have served our country now have the opportunity to work with and grow this healing plant. We couldn't be more thrilled to be carrying SCVA's products!